In North America, Punch-Out!! was one of the Wii titles released on the Wii U for purchase. It seemed like an obvious sign that I should play my retail copy after such a long hiatus and not having beaten the game so many years ago. I did just that, and now I have a much delayed review, a retro review, if you will. I could have been a contenduh, but Punch-Out!! certainly is! Don't think of Punch-Out!! like a typical, traditional boxing game. This is no Fight Night here, ladies and gentlemen. Sure, there's the goal of knocking out your opponent with a coveted K.O., but Punch-Out!! is more of a game for the reflexes and has a greater emphasis on puzzles. What's the puzzle, you ask? It's finding out when to dodge, block, evade, and go on the offensive to deal the greatest amount of damage while conserving your energy. Every fighter that Little Mac faces has a tell when they're about to throw down on the brave boxer. There's the need to learn when a fighter is about to make his offensive move, there's the need to learn how to dodge or evade said move, and there's the need to learn when to strike and when to back off, as if an opponent blocks your attack, you lose a heart. Lose all your hearts, and you can't fight back. Instead, you have to evade attacks to regain hearts. losing, yet he keeps coming back for more. The greatness of Punch-Out!! is how it teaches you how to play, or for a more conducive word to boxing, it trains you in how to prepare for the coming bouts. 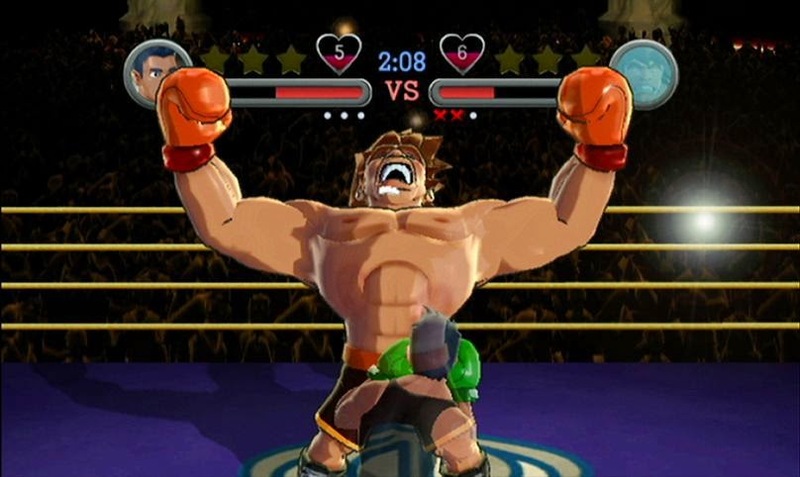 For instance, the first opponent you face as Little Mac is Glass Joe. With this lovable loser, you can pretty much punch till your heart's content. However, with the next match against Von Kaiser, you need to block and dodge attacks. King Hippo requires not only dodging and blocks, but he also forces you to dodge in different directions, such as ducking. It trains you to do these things with or without you realizing it by forcing you to, or else you'll lose! Give my regards to Berlin. The World Circuit is the main event in Punch-Out!! It has you as Little Mac starting fresh in the minor leagues, taking on weaker and less formidable boxers, as you raise yourself through the ranks. Eventually you tackle super hard opponents with much crazier patterns to learn and smaller windows of opportunity to get a punch in on them. If a specific opponent gives you too much grief in the ring, you can enter a practice mode in a separate area of the game to take on a hologram form of the certain thorn in your side. You don't take damage from their attacks, and it's a great means to learn each opponent before heading in the ring to do the real thing. Different attacks require different directions to dodge in. 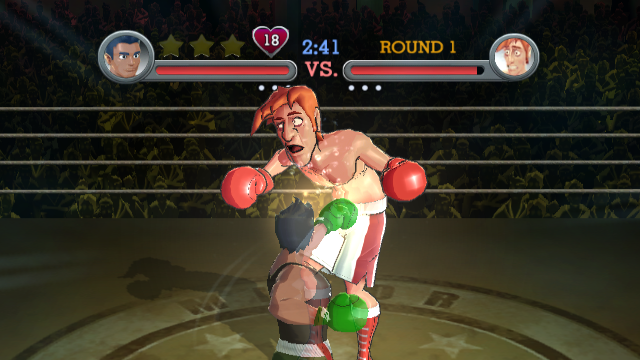 Beaten boxers offer challenges to take on, also in a separate menu and mode. These have you satisfying up to three conditions per opponent. Some can be knocking out a competitor within a certain amount of time, and challenges with stipulations like letting an opponent win by decision but only after knocking him out three times total. These challenges are a way to add even more longevity to Punch-Out!! And that's if you can even beat the single player mode. Is this considered regulation boxing!? Yes, Punch-Out!! is a tough game to beat and even tougher to master! Some players might find the difficulty of Punch-Out!! rather off-putting, which is something to consider if you're prone to aggravation. However, if you do find yourself getting knocked out a lot or losing in general, after 100 losses Little Mac gains some headgear which allows him to take less damage in bouts. After the World Circuit mode has been completed and Little Mac is crowned champion, gaining a gold-studded championship belt, he goes through the process of defending it against a stronger onslaught of opponents. Even combatants like Glass Joe put up one heck of a fight this go around. For example, King Hippo can no longer be hit in his huge gut, as now he has a manhole cover taped to it, in addition to new, faster attacks. Outside of the solo modes, there is a multiplayer feature that pits two players against one another. 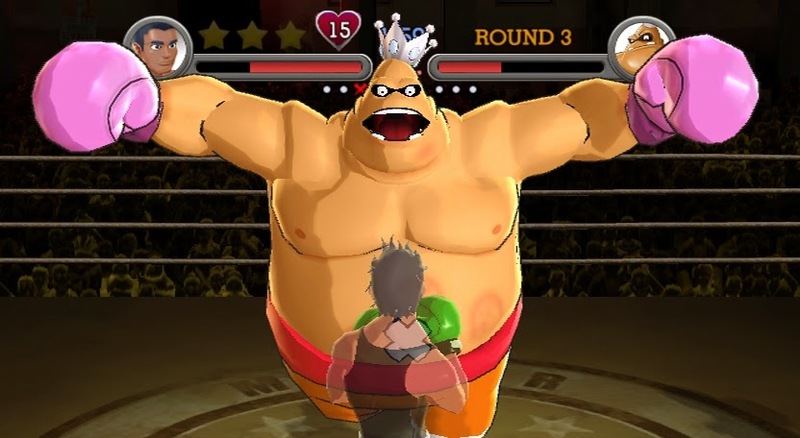 Once a special gauge fills for either opponent, they turn into Giga Mac, offering gameplay similar to what is found in the solo mode, only with a human opponent fighting the other player's Little Mac. It's a cute mode for two players once or twice, but it quickly outstays its welcome. Majora's Mask New 3DS XL was sold out. 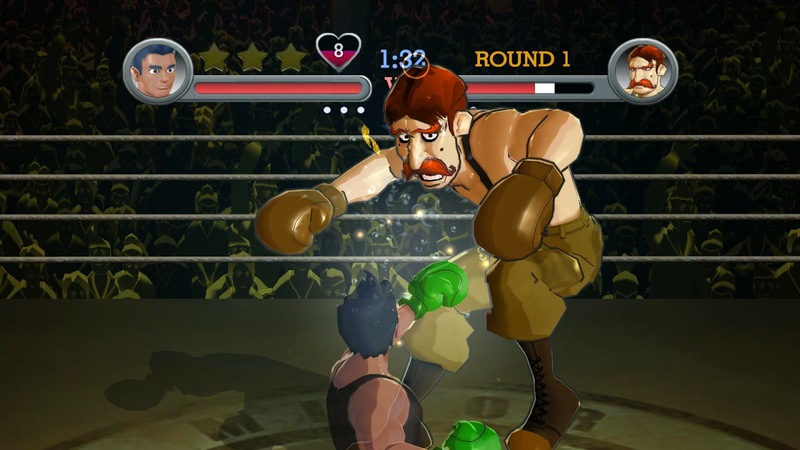 Next Level Games, the developer behind this title, were either huge fans of the Punch-Out!! series or were greatly shown the ropes (pun intended) by Nintendo. The game emanates with polish and humor, whether it's in character animations, opening cutscenes of each boxer, or Little Mac's trainer, Doc Louis's hilarious mid-round advice. The visuals are stylized with beautiful cel-shading, giving a cartoon feel, great for the underpowered Wii. All signs point to Punch-Out!! being a superbly polished game, and it was no fluke that Next Level Games nailed it so well. 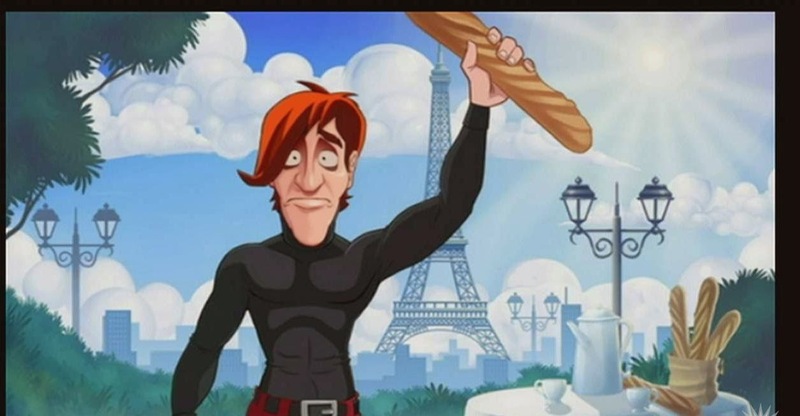 A real boxer doesn't eat a diet of baguettes! While Punch-Out!! 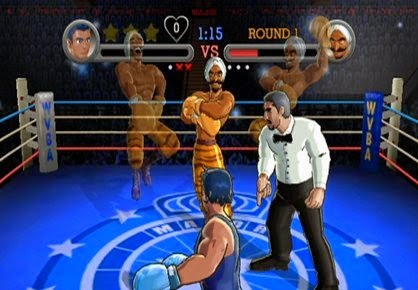 may be too difficult for less patience players, and the multiplayer might be a bit of a bummer, but the gameplay of Punch-Out!! is super tight, super thrilling, and super fun. 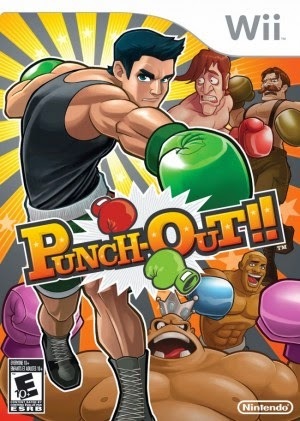 From the exuberant personality the game displays to its clever puzzle mechanics, Punch-Out!! is definitely a game that Wii owners (and now Wii U owners) can consider to be the main event.